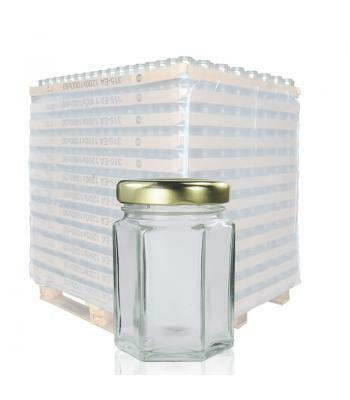 If you're looking for a glass preserve jar with a different appearance to the traditional round glass jars that most foods are sold in, look no further than our hexagonal shaped glass jars. 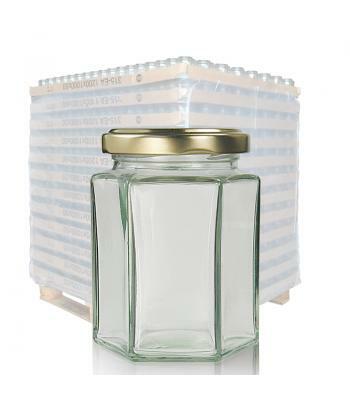 These hexagonal jars are manufactured from strong, quality clear glass, but they offer an ornate, handcrafted appearance. With a choice of 45ml, 55ml, 110ml, 190ml and 280ml sizes, this complete range of preserve jars gives you the option of using one size for a single product, or all of the jars to create a complete product range. For example, the mini 45ml jar is ideal for breakfast jams or cake and takeaway meal accompaniments. 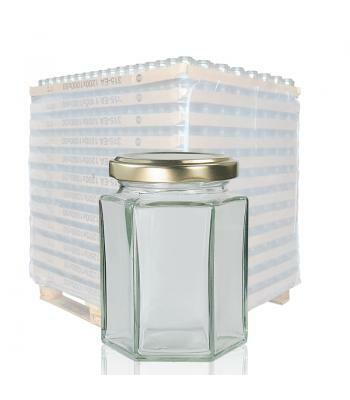 Our larger hexagonal glass jars, on the other hand, are suitable for selling herbs and spices, nuts, olives, jams, chutneys and other foods in. 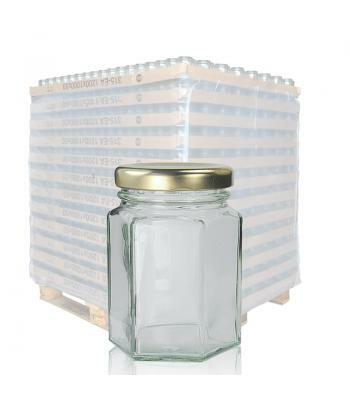 The neck sizes of our hexagonal glass jars start at 43mm, for the two smallest jars, up to 63mm, for the 280ml jar. All jars are available with twist off gold, silver or black metal lids, with the addition of a white lid option for the 280ml jar. 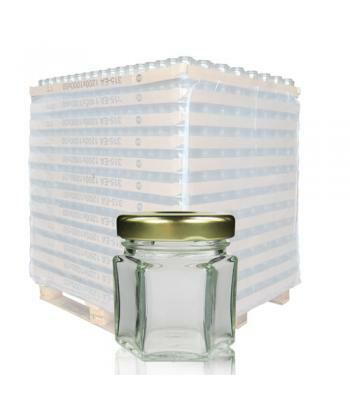 All lids have a rubber lining, for an airtight seal, which is suitable for acidic foods.